Hello Friends! Hope everyone is having fun! 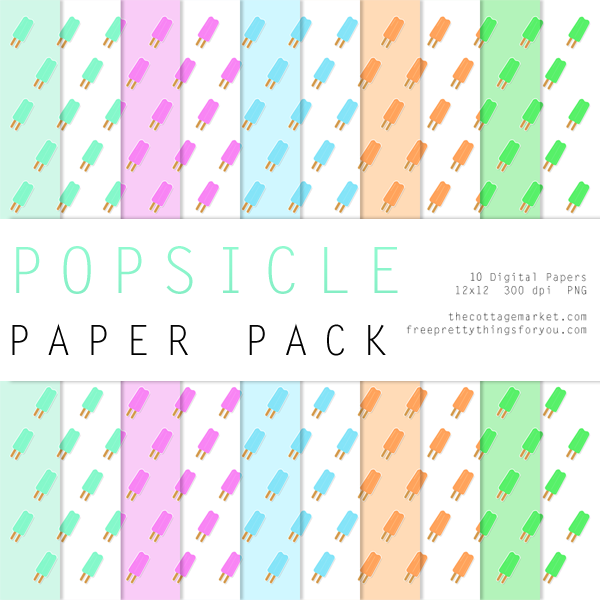 It’s Saturday and we are back for a new Free Digital Paper Pack! 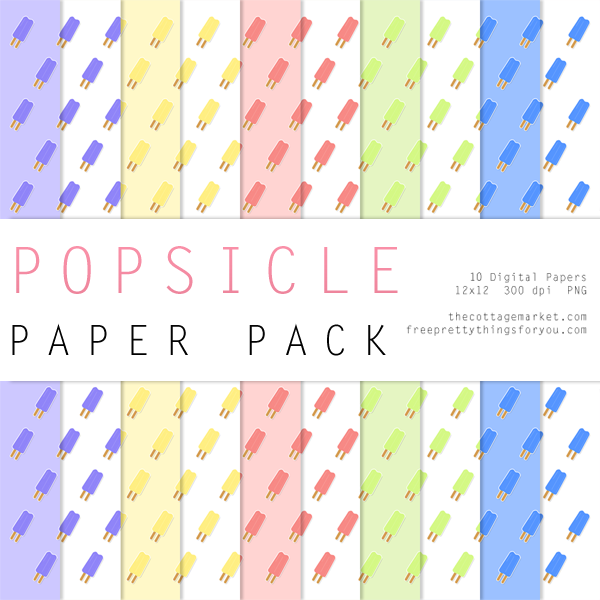 Today we have colorful Popsicle digital paper pack! Great for all kinds of things like scrapbooking…a whole array of crafts… posters… cards… the list will never end. You will find the first pack over at The Cottage Market and the 2nd part right here at FPTFY! These are tons of fun and I know you are going to enjoy them! So if you are looking for scrapbooking ideas this pretty paper will certainly help spark some some! Oh my, so many beautiful colors. Popsicles bring back so many memories. Thank you, they will make beautiful cards. Hi Keren Hope the weekend is good for you. Thanks so much for these great papers, have a project already in mind to make but have to get ink cartridges first . Been without ink all this month since money spent on something else. Still catching up from buying my couch at Habitat. Spending that much money I had to make it up somewhere. But that’s ok as it was so worth it to get a couch I really loved. Not too bad for $100. Lot better than having to make payments on maybe something I didn’t really like just to settle. Look forward to making my project with this paper and some others I got at Hobby Lobby this past week 50% off. Believe me being on SS teaches anybody how to manage their money, lol. Hi! Are these free papers available to be used for commercial purposes? I would LOVE to make a set of invitations with this print to sell on Etsy. 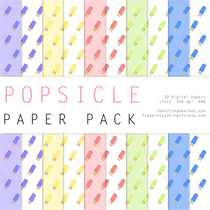 (Of course, I would never sell the design itself or sell the paper as a pack). You really are a fantastic artist – I love looking at all of your adorable prints! Hi. I’ve been downloading your packs and i LOVE them!!! However, the section on this pack that is on TCM’s page, the link won’t work. i’m not sure why, but when i click on it it just tells me the page is invalid. I really love these designs and would love if i could get the other half.